One simple appliance can help significantly increase reliability and effective communication between dentist, surgeon, and laboratory. Using the Delineator reduces the need for custom abutments by helping to ensure optimal implant placement. The ability to use stock abutments means less time in the laboratory, reduced lab fees, and greater reliability. 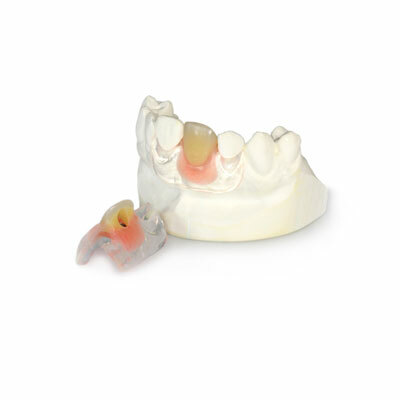 Fabricated using pink acrylic and clear thermo plastic retentive arms for adjacent teeth, the Delineator is stable, comfortable, and nearly invisible in the mouth.